All transactions are safe and secure with a reliable history in online purchasing behind each of our associates. 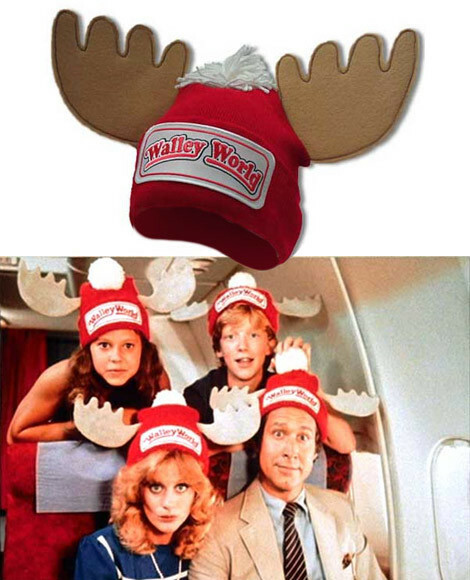 Buy the Walley World Marty Moose Hat to own Christmas Vacation clothing and merchandise. Written by John Hughes, National Lampoon's Vacation is the first movie in the Vacation series. The story follows a determined Clark W. Griswold (Chevy Chase) and his attempt to drive his family cross-country to the Wally World amusement park. Pair this Marty Moose Hat with National Lampoon's Vacation t-shirts and head to the park in the Griswold Family Truckster. These Wally World hats can be used for a Clark Griswold costume. Buy this with the movie poster and a set of Christmas Vacation moose mugs. In addition to the Walley World Marty Moose Hat above, browse the Christmas Vacation Clothing Gallery for more apparel like men's and women's clothes, kids shirts or hoodies.